Choosing a new executive director is a big deal. Whether you’re a teeny tiny historical society or the Metropolitan Museum of Art much rests on the selection of a single human. This week, both in conversations with a colleague, and in class discussion with our Johns Hopkins University students, it became clear that a lot of museums and heritage organizations don’t allow staff to meet the candidates. Too often, that opportunity seems to belong to the board and the board alone. It’s hard, however, to see how that makes any sense. Admittedly, I work at an organization that’s taken the interview process to extraordinary levels. Except for the lowliest positions, every candidate spends at least five or six hours on site, moving from meeting to meeting, and often participating in the proverbial lunch where she or he is asked to eat while simultaneously answering questions from well-meaning staff. At day’s end, everyone submits evaluations to their direct reports. Could staff really sway a decision? I don’t know, but I can tell you that everyone feels as though they’ve participated. At the very least, they can put a name to a face when the final decision is announced. Why does any of this matter? Because “they,” whether they are a leadership team at a huge organization, or the entire staff at a small one, will be the candidate’s team. And the team is important. Know what qualities you’re looking for. Sounds obvious, but these aren’t the standard qualities that every job advertisement lists — courage, vision, intelligence, self-awareness — they are the qualities that will take your museum or heritage organization and move it forward. And they shouldn’t be confused with qualifications. Only you, the board and the museum leadership know what your organization needs. Is it experience as a collaborator with other organizations? Is it the ability to be decisive and carry out a strategic plan? Is it an understanding of how digital and web-based content can impact your organization? Be open about where you might find this person. It might not be in a traditional spot. Try to shed your biases or at least acknowledge them, and be willing to look outside the box. If this is the top spot, decide how to engage your leadership team and/or staff. Who will give candidates a tour? Who will meet with them in small groups? Who will answer questions about living in your area? How can meetings with staff and candidates give you the most bang for the buck, providing information for the interviewee, while also giving staff the opportunity to listen and ask questions? Does your staff or board need coaching on which questions are legal and appropriate and which are not? A refresher never hurts. Hiring, particularly for the top spot, is a time-consuming and sometimes expensive process. Presumably, you’re proud of your museum and the work it does. So showcase it. Let candidates meet with staff. Give them a mechanism to report back. Listen. Listen. Listen. Choose wisely. Choose for the team you have and the organization you want. Along with 999 or so folks, we’re back from Kansas City, MO and AASLH’s Annual Meeting. There we caught up with old friends, celebrated change in the history museum field, and bemoaned the state of the world. Some of us enjoyed some Kansas City barbecue too. Leadership Matters went–in part–to lead the annual Leadership Forum. One of a number of pre-conference workshops, the Forum, as distinct from the History Leadership Institute which happens in November, is a four-hour intensive on one or more aspects of leadership. 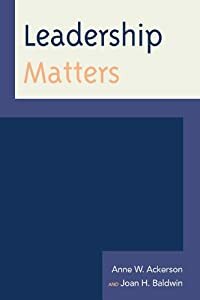 This one moved from the broad-based to the particular, from organizational to personal, covering three big topics: Empathy & Equity in the Workplace; Staff as Assets or Liabilities; and finally, a look at Career Alignment and Choices. The empathy and equity section asked participants to define the two words, to address how and where they were found at participants’ museums and sites, and whether it’s possible for a workplace to have empathy without the equity. Section two addressed questions of staff: Whether boards, CFOs, and EDs look at staff and see a great, yawning cavern of salaries, benefits and issues or whether they see creative, entrepreneurial folk devoted to the organization and each other. The last section was based on a personal career narrative, and asked participants to think about their own museum practice. Questions like what are your career constants, what makes you happy, what do you want to create circulated around the room. The group also talked about kick-in-the-pants career change, how upending it is, and how sometimes it brings great joy. Gone are the days where history museum leaders haven’t got a clue about leadership. They get it. They may lead fraught, overwhelmed lives, but they get it. History museum professionals don’t press the pause button often enough. Some history museum leaders spend too much time alone. Talking about why we do what we do is as important–if not more so–than talking about how we do it. Pay equity makes some leaders nervous and fires up others. Based on listening to this room of 30 individuals, too few think intentionally about their careers with any regularity. A lot of people seem to think once they are parents or partnered or both, their careers are stuck. The vast majority of the room seemed to feel they have audience empathy knocked. Empathy on the back stage side–for staff, board and volunteers–appears trickier. Brene Brown’s short video on the differences between empathy and sympathy was a fan favorite. Best line: A participant telling her supervisor she was quitting. “I have one short, precious life, and it’s too short and too precious to work for you.” The original included a strategically placed f-bomb which gave the whole sentence a lot of zing. As we told the roomful of leaders, it was an honor to participate. Although admittedly this was a self-selected group, people seem to embrace leadership at all levels. By that we mean the doing of leading, not seeing the director’s position as a conclusion. And that’s a blessing. While there is always work to do–especially back stage, especially on workplace race and gender issues–without sounding too Pollyanna-like, it feels as though there’s finally a sea change taking hold on the leadership front. Your article could be summed up in one sentence: Too often museums and heritage organizations put staff last, not first. Leadership Matters is filled with pleas to boards and museum leaders to recognize the value of human capital. We’ve said it at least once a month for 36 months. It’s not buildings or collections that drive museums, it’s people. A lot has happened since you originally wrote your piece. It’s odd to think that something written 15 months ago can already be, if not out of date, then out of context. Today the world of work is beset with questions of #MeToo and sexual harassment, yet many things–particularly as they relate to women and work–are unchanged. If you need evidence for that, know that in 1974 a group of women known as the Women’s Caucus approached AAM with a list of grievances. With the exception of more women in museum leadership, most of the Caucus’s complaints are as true today as they were 44 years ago. And it is this Groundhog Day-quality of trying to make change at 35,000-plus organizations that is daunting. Museum employment is shackled by a legacy of gender inequity coupled with largely invisible race and class barriers. But back to your piece. First, a caution about comparing museum work with academia. If by academia you mean a teaching position in a two or four-year institution, there are disgruntled overeducated employees in both sectors; however, the Bureau of Labor Statistics (BLS) tells us that, as of May 2016, there were 1.3 million postsecondary teachers at U.S. colleges/universities, professional schools, and junior/community colleges earning a median salary of $75,430. Among curators in museums and other institutions where education requirements and job responsibilities are similar (if not often the same) to postsecondary teachers, the BLS 2016 employment number stood at 11,170, earning a median salary of $58,910. While it’s common knowledge, particularly at big universities, that adjuncts are the indentured servants of the academic world, contrasting museums and academia isn’t an apples to apples comparison. And don’t forget that many postsecondary teachers are unionized — that can make a big salary/benefits difference. Second, your comments on advancement: If you yearn to be a curator, and in fact become one, what does advancement look like? Might it mean moving to a leadership position where ultimately you manage people rather than care for things? Or does it mean moving to a larger organization where you manage a more dynamic collection as well as staff? One thing we’ve tried to point out on these pages is that in a small field where, to date, an advanced degree is the ticket for admission, moving up frequently means a leadership position which many museum professionals are ill-prepared for. But perhaps the point is advancement means different things in different parts of the museum job sector. If you want to be an ED, the path is pretty clear; you hop scotch your way from smaller to bigger. But if you’re a curator or an educator, there is likely to be a fork in the road, where you decide whether advancement is more important than what brought you to the field in the beginning. Finally, is zig-zagging up the ladder as much of a problem for museum professionals as organizations failing to provide even the most minimal professional development opportunities? We think the answer is no. All staff need professional development. Third, we fundamentally disagree with the notion that change can’t happen piecemeal–that no single museum can make change alone. In fact, that IS how it’s happening. Individual museums with forward-thinking leaders and boards create workplaces where employees prosper. As a result, those institutions flourish. 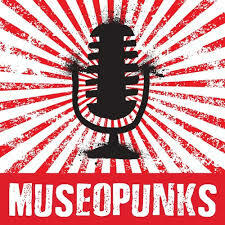 Museums that pay pitiful wages, offer no benefits, and make serving on a jury easier than going on maternity leave, don’t attract and retain creative, driven staff. They do the opposite. We support the changes you call for: eliminating degree requirements, investing in existing workers, and helping with work/life balance, but it’s hard to believe that two 21st-century women left closing the gender pay gap out of the equation. It’s a pervasive and ongoing problem, affecting all women, but women of color, and queer and transgender women disproportionately. Until the museum field pays its staff equitable and living wages, this will always be a job sector known for its lack of diversity and its abundance of quit-lit. Last, we believe that AAM Accreditation and AASLH StEPs should require their member organizations demonstrate they not only have HR policies, but how complaints and harassment are handled. Thank you and Alliance Labs for keeping this conversation going. It is an important one. For the second time in less than a month, we’ll close by asking: Isn’t it time for a wage summit that would bring together big thinkers from inside and outside the museum field to tackle this problem? This week Leadership Matters spoke on Women in the Museum at the Small Museum Association conference in College Park, MD. Actually we did less talking and more listening. 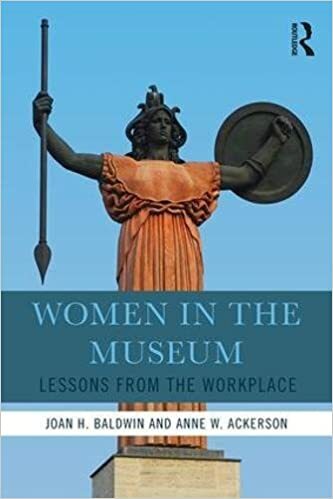 While women in the museum workforce are often acutely aware of inequities–whether compensation, promotion, mentoring–they consistently battle boards, HR departments and museum leadership who act as though gender equity isn’t a problem or at least not a problem they need to devote time to. Because we believe we are all change makers, we asked our audience to break into groups and respond to questions about how their own organizations advance gender equity. What followed was a lively discussion. When groups reported out, three topics predominated: salary inequity, salary negotiation, and the ever-present issues of childcare and the workplace. Museum women still fail to negotiate and they consistently underestimate their abilities. We know that failing to possess all the qualifications for a particular job does not stop men from applying, but it does stop women. Moreover, we know that in the world of work 57-percent of men negotiate for their first salary versus 5-percent of women. Men attribute their success to themselves; women attribute their success to others or a lucky break. Even without a transparent salary scale or salary bands, it’s an open secret that many museum salaries border on the unlivable. This is why it’s important to believe in your own worth, to use the Living Wage calculator, and to negotiate from the beginning. Women still shoulder the bulk of housework and childcare. This complicates their work life so that it becomes a ridiculous and ongoing internal struggle about how to negotiate parenthood and career. This complicated struggle causes women to delay career advancement in order to get past the early childhood years. We aren’t always each other’s biggest supporters, as women or as humans. Most women in our audience recognized the importance of both mentoring and a personal posse or kitchen cabinet. (Those are friends and colleagues who listen to you, but are clear-eyed enough to tell you when you’re wrong or you’re behaving like a jerk.) But few could point to bosses or boards who acknowledge gender issues–not to mention gender complicated by race and gender identity–as a career impediment. If you are a museum leader or worker is gender equity your problem? You bet it is. Your colleagues, your team, your department and your organization are your problem. You don’t get to wring your hands and moan about the lack of diversity in the museum workforce when you’re not actively working to raise salaries so museum workers don’t need well-off partners or parents to make ends meet. You don’t get to pontificate about how important it is for museums to engage with their communities if you fail to acknowledge the very real and complex issues of 46.7-percent of your workforce. And you don’t get to whine about millennials and their attitudes toward work if you aren’t actively mentoring, guiding and advising the next generation. Stellar organizations are value driven organizations. They put the most diverse group at the table they can, and treat staff as equitably as possible. Museum workers who are treated equitably are happy, and happy humans are creative humans. What organization doesn’t want that? In the wake of the ongoing dismay surrounding the Berkshire Museum’s decision to renovate its building, change its focus, and shore up a plundered endowment, and Lee Rosenbaum’s cautionary post about the National Academy of Design — another organization that hoped to cure its ills with cash — we’ve been thinking a lot about boards, board culture, board building, and board behavior. We’ve written about museum leadership since 2013. Our focus has been the women and men leading museums and heritage organizations. Any of you who’ve read our posts know we believe passionately that the museum field needs to invest more in its leaders and staff than its infrastructure. Boards who understand why they’ve chosen to serve, who know that service is about the institution, whether it is tiny and all-volunteer or a community’s anchor store. Boards who believe in the museum field, who understand it’s a place with its own culture, rules, and most importantly, ethics and standards. Those standards weren’t invented a century ago because the folks at the newly-formed American Association of Museums (now American Alliance of Museums) had nothing else to do. On good days these ethics and standards actually inform what the field does. Boards who invest in museum leadership within their own ranks as well as staff ranks find that it can be a key to making change, not just an opportunity to shift the responsibility of leadership off their own backs. Boards who have a deep understanding of why their organizations matter know it is an understanding that informs and eases the ongoing task of raising money. Boards who know that museums hold the public trust, and realize that being a non-profit isn’t a ticket to practices and behaviors they wouldn’t sanction in their own businesses. This sounds like we think all boards are badly behaved, and we don’t. Many, many are exemplary. But for the sake of collections, communities, and museum staffs, we’d like to see boards move the needle away from downright poor decision making and mediocrity. And the sooner the better.